Designed for the most demanding professionals, this briefcase combines a modern design with the versatility needed to get around the city. Manufactured in a modern material-looking cowboy, is a product that is very functional, without a doubt, you will comply with all expectations. Possibility of carrying it as a backpack thanks to its shoulder straps hidden in the back. 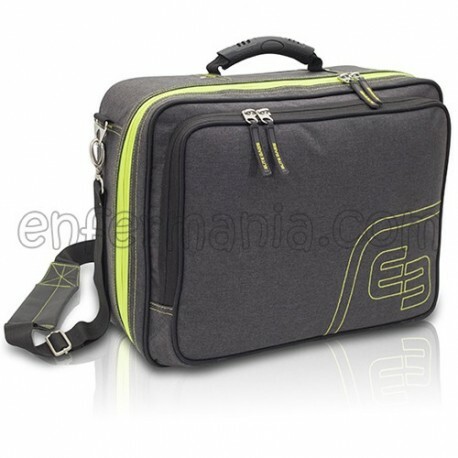 It can also be transported with carrying handle or by the shoulder strap. 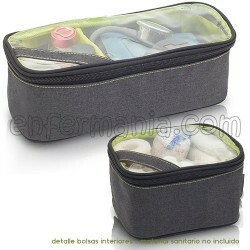 Front compartment with various pockets for documents, tablet, laptop and other personal items. 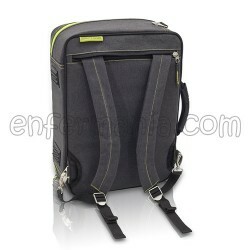 Shoulder straps of backpack is reinforced and they are tailored to your back allowing you to transport more comfortable. Three pockets grid interior large capacity, one of them stitched at L to protect the content. 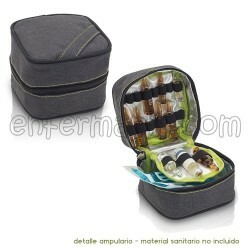 Two compartments with front transparent for quick identification of the contents. Also includes another compartment opaque large capacity. 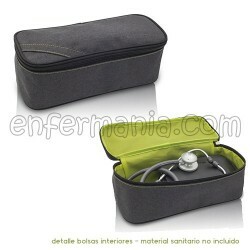 Ampulario isothermal with capacity for 38 ampoules. All of the compartments include a handle that makes it easy to transport the individual. 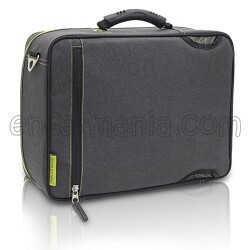 In addition, attached with velcro to the case to ensure your subject. The briefcase has a flexible structure that adapts to its content.